THE FIRST COLLECTION OF THE NEW DC SERIES IS HERE! The dark adventures of DC’s foremost occult detective continue in issues #1-6 of his all-new series, plus the Sneak Peek story from CONVERGENCE: SHAZAM! #2, as he investigates the cruelest case he’s ever come across—his own dark history! 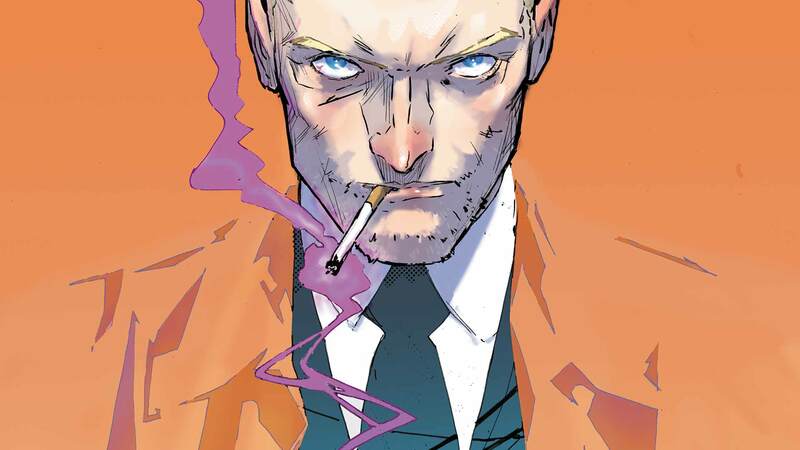 Someone is murdering ghosts, a supernatural crime so impossible to solve that John Constantine is forced to return to London and seek help from the one person he hates more than any other; a magician above reproach, a darling of London high society, and a friend to superheroes everywhere. She is Georgiana Snow…the HECKBLAZER!